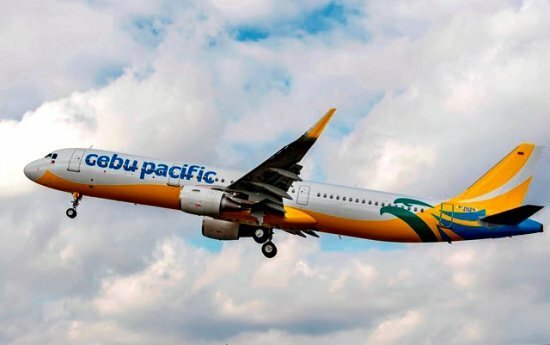 The Philippines' leading carrier, Cebu Pacific is optimistic that the upcoming launch of its direct service between Manila and Melbourne will further boost its market share in Australia on the back of competitive fare offerings for both passengers and cargo. Cebu Pacific is set to commence operation of its thrice-a-week Manila-Melbourne-Manila service on August 14, 2018. "Bookings for our Manila-Melbourne-Manila service are healthy. The bookings comprise of travelers who want to visit Melbourne and Filipino-Australians who want to visit friends and relatives in various parts of the Philippines. Cebu Pacific fares between Manila and Melbourne start as low as PHP9,539—about 60% lower than prevailing fares of other airlines. We're thrilled to extend the CEB effect to Melbourne," said Candice Iyog, Vice President for Marketing at Cebu Pacific. Melbourne is the second destination of Cebu Pacific in Australia following the launch of its direct Manila-Sydney route in 2014. Since Cebu Pacific entered the Australian market when it started direct services between Sydney and Manila in 2014, the airline has helped spur travel and commerce between the two destinations; and has since led the route in terms of passengers and cargo carried. Tourism between the Philippines and Australia has increased by an average 16% yearly—from about 186,000 in 2014 to over 413,000 as of April 2018. Australia is also one of the top sources of tourist arrivals in the Philippines, with over 120,000 Australians visiting the country in the first five months of 2018 alone. The Philippines is fast gaining popularity among Australian travelers as a holiday destination, rivaling Bali and Thailand. Moreover, the direct route between Manila and Sydney has enabled more Filipino-Australians to visit the Philippines frequently. Filipinos are among the largest immigrant groups in Australia, numbering about 300,000 as of 2017. Based on data from Australia's Bureau of Infrastructure, Transport and Regional Economics (BITRE) from January to April 2018, total passengers flown between the two destinations reached 149,029, up 3.7% year on year. Of the total from January to April 2018, Cebu Pacific flew a total of 59, 678 passengers, representing a 40% market share. On the other hand, competitors Philippine Airlines and Qantas garnered a market share of 34% and 26%, respectively. In terms of air freight services, the BITRE report showed that cargo volume between Manila and Sydney grew by 10% year-on-year to 3,427 tons in the first four months of 2018. Cebu Pacific garnered 48% of the cargo market share between the two destinations. The Bureau of Infrastructure, Transport and Regional Economics is part of the Policy and Research Division of the Department of Infrastructure, Regional Development and Cities. Its mandate is to provide economic analysis, research and statistics on infrastructure, transport and regional development issues for the Australian Government. "The sustained growth of trade between the Philippines and Australia continues to fuel the demand for cargo space. As we enhance our freight capabilities in the Philippines while offering low-cost and efficient transport of time-sensitive goods, we hope that this would entice more exports of Filipino products into Australia," said noted Alex Reyes, Vice President for Cargo at Cebu Pacific. Cebu Pacific flies five times weekly (Monday, Tuesday, Wednesday, Friday, Saturday) between Manila and Sydney. Direct service between Manila and Sydney, which commences on August 14, will depart every Tuesday, Thursday and Saturday.